Sara is a final year medical student who enjoys the challenges of Psychiatry and hopes to learn more about improving the mental health of our community. Introduction: Anxiety disorders account for one third of psychiatric complaints that young people present to their general practitioners with. 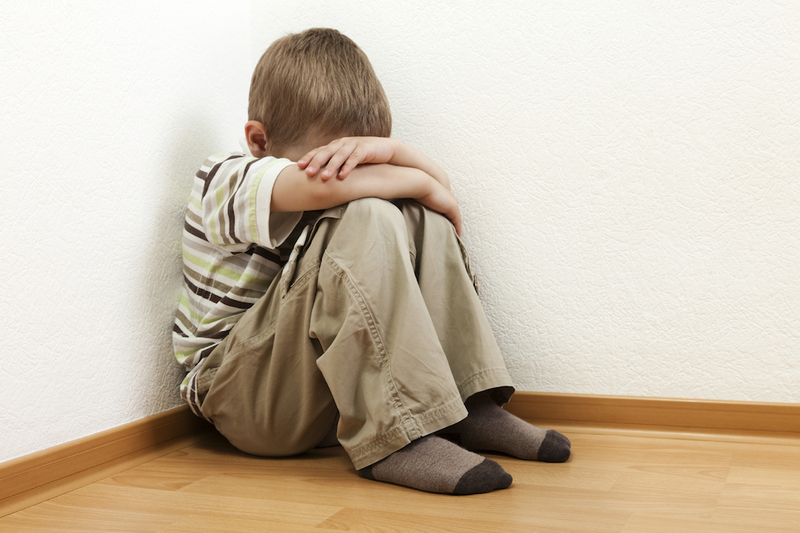 Social phobia (SP) is one of the most prevalent of these disorders, in children and adolescents. Methods: Sixty nine patients with carefully defined SP and a control group of 129 typically developing (TD) children were recruited through the Academic Child Psychiatry Unit, Royal Children’s Hospital. All completed the McMasters Family Assessment Device, Hopkins Symptom Checklist, and the Spanier Dyadic Adjustment Scale. Results: There were no clinically meaningful differences in family functioning between the SP group and TD group. Parents of children with social phobia reported higher rates of anxious (η2 = 0.10), obsessive compulsive (η2 = 0.12) and depressive (η2 = 0.13) symptoms, compared to parents of the control group. Furthermore, the relationships of parents with children who have SP appeared to be unhappier (η2 = 0.15) and they reported working together less (η2 = 0.14) than their counterparts. Discussion: Although family functioning per se is not associated with an increased risk of SP in children, the presence of dysfunction tends to lead to protracted SP. Moreover, the stress of having a family member with a mental illness can impact on the parental relationship, causing problems. This may or may not be related to parents of young people with SP displaying symptoms of anxiety, obsessive-compulsiveness and depression. This supports the need to consider both the parents and children when constructing a management plan, which can be initiated and executed by general practitioners. Existing literature found that family functioning is not associated with SP, but the persistence of SP in young people is greater when family functioning is dysfunctional. [6-8] Furthermore, parents of children with SP are likely to suffer from SP themselves, [6-8] there is an emerging association between SP and Bipolar Disorder (BPAD), while comorbid alcohol abuse in patients with BPAD and co-morbid SP seems to be recognised. [9-11] Interestingly, to date, there are no replicated findings about the impact of parental relationship factors on SP specifically. The aim of this study is to investigate the potential risk and resilience factors in children with SP in the domains of family functioning, parental psychopathology and parental relationship. The McMasters Family Assessment Device (FAD), Hopkins Symptom Checklist (HSCL) and Spanier Dyadic Adjustment Scale (DAS) were used to explore these three respective domains. The hypotheses that the research addresses are 1) that family functioning between the SP and TD groups would not differ; 2) that parents of children with SP would show features of SP and other anxiety disorders and 3) that parental relationship factors would not have a clear association with SP compared to TD young people. This research represents a cross-sectional study and was conducted at the Academic Child Psychiatry Unit (ACPU), Royal Children’s Hospital (RCH) in Melbourne. The ACPU is a clinical research unit that provides comprehensive, standardised assessments and treatment for children and adolescents with internalising and externalising disorders. Prior to the assessments, informed consent was obtained from the parents and children, and a consent form was signed. The data used in the analysis were obtained from standardised questionnaires and structured clinical interviews completed by the parents and young people. An ethics approval was not required for this paper as both the data analysis and the questionnaires used in this research did not involve the use of identifying information. In addition, the questionnaires utilised for the data are part of the full standard assessment that all patients referred to the ACPU are required to undertake as part of their management. Furthermore, this research project is not part of a Doctoral or Master’s degree. Age, social adversity status (SAS) and full-scale IQ (FSIQ) were analysed using univariate analysis of variance, while gender was controlled using the chi square test. The HSCL, FAD and DAS variables were analysed using univariate analysis of covariance, controlling for SAS and FSIQ. Partial eta squared was used to ascertain effect sizes for variables that differed between the groups. The value at which a sample is considered to be clinically significant or large, was set at η2 ≥ 0.10. The 69 children diagnosed with SP and 129 TD children were identified using the Anxiety Disorders Interview Schedule for Children (A-DISC), which is a semi-structured interview conducted by clinically-trained interviewers. The A-DISC comes in a parent (A-DISC-P) and child (A-DISC-C) form and is designed specifically to diagnose anxiety and other related disorders in individuals from 6-16 years of age. Based on the parent and child account of the most distressing or interfering symptoms, the children are given a principle diagnosis and any other diagnoses fitting the criteria, as determined by the A-DISC. Patients with Full Scale IQ less than 70, and children living away from their parents were excluded. Patients with any coexisting DSM-IV-TR Axis I diagnosis were also excluded. The SP and TD groups did not differ in their age or gender: mean age of the children with SP was 11.01 while the mean age of the TDP was 10.50 years. Out of the experiment group, 40 of them were males and 29 females. Similarly there were more boys in the control group at 70, compared to girls, of which there were 53. There were no clinically meaningful family functioning differences between the families of children with SP and the TD young people. This was based on scores of η2 = 0.06 for general functioning, η2 = 0.02 for problem solving, η2 = 0.03 for communication, η2 = 0.03 for roles and η2 = 0.03 for behaviour control, all of which are not clinically significant. This suggests that families from both groups were able to effectively solve problems together and communicate, from a clinical standpoint. Furthermore, the results implied that the established roles and execution of those roles within families of either group were not dissimilar. Also, the way in which the expression and maintenance of behavioural regulation is achieved in the two groups was not different from a clinical perspective. The data revealed some interesting results in this regard, supporting previous literature that traits of anxiety are significantly present in parents of socially phobic children (F = 16.62, p < 0.0005, η2 = 0.10). Furthermore, it was found that parents of the control group displayed symptoms of an obsessive-compulsive (F = 20.08, p < 0.0005, η2 = 0.12) and depressive (F = 22.01, p < 0.0005, η2 = 0.13) nature. In addition, the effect size of the total HSCL score between the groups was η2 = 0.14. This demonstrated that parents with children with SP also tended to have manifestations of anxiety, e.g. restlessness, nervousness, tension or even somatic signs like trembling. Moreover, these individuals tended to experience the presence of unwanted thoughts, impulses or actions more often than their counterparts. Interestingly, parents of SP children also appeared to suffer from more dysphoria, anhedonia, avolition and hopelessness than parents of the control group. Overall, the data showed that parents of socially phobic children seemed to have more symptomology of mental health problems than parents with TD children. Contrary to the hypothesis on parental relationship, the effect size of the total DAS scores of the two groups proved to be η2 = 0.11. Additionally, there were clinically significant problems with the happiness in the relationship (F = 20.41, p < 0.0005, η2 = 0.14) and ability of spouses with SP children to work together (F = 22.62, p < 0.0005, η2 = 0.15) compared to the control group. This non-hypothesised result suggested that in families with children with SP, the relationships between the parents tended to be more strained, and they did not often collaborate on projects together. In general, the results of the data analysis were largely similar to the hypotheses put forth at the beginning of this paper. As supported by Knappe and colleagues in both their 2009 publications, family functioning was not associated with a risk of having offspring with SP. Earlier studies by Lieb et al. nearly a decade before also agreed that there was no connection between a child with SP and family functioning. According to the data produced in this study, parents of children with SP tend to have traits of anxiety and obsessive compulsive disorders themselves. Interestingly, the results also showed that a clinically significant portion of these also suffered from depressive symptoms. Future research should seek to uncover whether the symptoms experienced by the parents are a direct result of raising children with SP, or whether their own psychopathology has contributed to their children’s condition. Longitudinal study designs are needed. It was hypothesised that the parental dyad would not be affected as a result of having a child with SP, due to the fact that SP, like many anxiety disorders, are internalising conditions. However, in this study these individuals ranked lower in relationship satisfaction and working on joint projects together. One explanatory theory could be that behavioural difficulties in children with SP, such as school refusal and poor academic performance, indirectly cause discord in the relationship of their parents. Conversely, a troubled parental relationship could potentially exacerbate or even contribute to symptoms of SP that their child. It may be reasonable to conclude then, that having an offspring with SP puts stress on the family as a whole, and can therefore lead to difficulties within the parental relationship. For instance, the demands of caring for a child with SP in addition to other responsibilities may result in less time spent together as a couple, and hence less time spent working together on projects. Given enough time, this may lead to relationship dissatisfaction. Ideally, future research will recreate or produce more modern data looking into this area, allowing for better interpretation. In summary, although family functioning per se is not associated with an increased risk of SP in children, the presence of dysfunction can lead to protracted SP. Moreover, the stress of having a family member with a mental illness can impact on the parental relationship, causing problems. This may or may not be related to the parents of young people with SP displaying greater symptoms of anxiety, obsessive-compulsiveness and depression. These interplaying factors make it necessary to consider both the parents and child, when constructing a management plan. The field of primary care is well-equipped to aid with the management of patients with SP and their families through the use of psychotherapies e.g. CBT and exposure therapy, as well as medications e.g. sertraline. This will be extremely beneficial due to the debilitating and sometimes serious nature of this problem. Future research should be geared towards producing more modern data and exploring the areas of parental relationship and parental psychopathology in the context of SP, in more detail. To Associate Professor Alasdair Vance – Head of the Academic Child Psychiatry Unit at The Royal Children’s Hospital. Your guidance, encouragement and support were integral to the completion of this project. Baer S, Garland EJ. Pilot study of Community-Based Cognitive Behavioral Group Therapy for adolescents with social phobia. Journal of the American Academy of Child and Adolescent Psychiatry. 2005 Mar;44(3):258-64. Lieb R, Wittchen H-U, Hofler M, Fuetsch M, Stein MB, Merikangas KR. Parental psychopathology, parenting styles and the risk of social phobia in offspring: A Prospective Longitudinal Community Study. Archives of General Psychiatry. 2000 Sep;57(9):859-66. Knappe S, Lieb R, Beesdo K, Fehm L, Low NCP, Gloster AT, et al. The role of parental psychopathology and family environment for social phobia in the first three decades of life. Depression and Anxiety.2009;26(4):363-70 . Knappe S, Beesdo K, Fehm L, Ho¨fler M, Lieb R, Wittchen H-U. Do parental psychopathology and unfavorable family environment predict the persistence of social phobia? Journal of Anxiety Disorders.2009 Oct;23(7):986-94. Pini S, Dell’Osso L, Amador XF, Mastrocinque C, Saettoni M, Cassano GB. Awareness of illness in patients with bipolar I disorder with or without comorbid anxiety disorders. Australian and New Zealand Journal of Psychiatry. 2003 Jun;37(3):355-61. Perugi G, Frare F, Madaro D, Maremmani I, Akiskal HS. Alcohol abuse in social phobic patients: is there a bipolar connection? Journal of Affective Disorders. 2002 Feb;68(1):33-9. Graham JM, Liu YJ, Jeziorski JL. The Dyadic Adjustment Scale: A reliability generalization meta-analysis. Journal of Marriage and Family. 2006; 68:701-717. Hunsley J, Best M, Lefebvre M, Vito D. The seven-tem short form of the Dyadic Adjustment Scale: Further evidence for construct validity. American Journal of Family Therapy. 2001;29(4):325-335. Lyneham H, Abbott MJ, Rapee RM. Interrater reliability of the Anxiety Disorders Interview Schedule for DSM-IV: Child and Parent version. Journal of the American Academy of Child and Adolescent Psychiatry. 2007; Jun;46(6):731-6. Friedman MS, McDermut WH, Solomon DA, Ryan CE, Keitner GI, Miller IW. Family functioning and mental illness: A comparison of psychiatric and nonclinical families. Family Process Journal. 1997Dec;36(4):357-67.